All veterinary businesses from mobile, small companion animal practices to retail-oriented or large multi-site mixed practice businesses and equine practitioners. 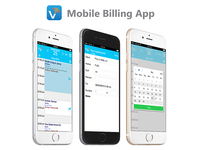 VetLinkSQL Practice Management Software, cloud-hosted or on-premise, is an innovative toolkit built on SQL technology, including apps for mobile billing, paperless forms, & inventory excellence, online booking, Xero, e-commerce, POS & lab integrations, extensive marketing, MailChimp integration, 2-way SMS & more. 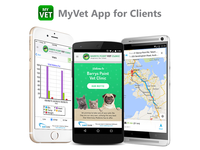 With over 25 years committed to veterinary business excellence, VetLinkSQL streamlines practice workflow in veterinary businesses just like yours, for vets just like you. Pros: At Rappaw we have five very busy clinics with 29 terminals. We used to run a central server for VetLinkSQL and a PACS Server for digital x-ray image backup at our main branch. As our servers got older and required replacement we were advised to look at cloud options. The CFL team assisted us to migrate to their Amazon cloud environment, and honestly, it was smoother than we had anticipated. In addition to VetLinkSQL, we also saw it as a good opportunity to move our PACS Server with all our digital DICOM images to the cloud with fully automated backups! Since migrating to the cloud hosted version of VetLinkSQL, we have very happy branch clinics who report an increase in speed - that's because they now connect directly to the cloud, instead of via a slow Spark VPN (Virtual Private Network) to our own local server. As we are running an open source PACS server (Conquest), I was pleased how easy it was to migrate all the images and PACS software to the cloud too. Cons: None at present time. Overall: I would recommend that you move to the CFL cloud environment as soon as your server gets close to warranty. For multi-branch clinics, just do it now, and get rid of those Spark VPN bills. It's also great not having to apply updates all the time & if you need to increase the performance of the cloud server due to changing demands it only takes minutes, not hours. Pros: Program itself - surprises on every single time of updates making it not only user-friendly but also environmentally friendly (eforms / invoicing), promotes efficiency (stocklink app, in-house and external lab integration), client compliance (reminder system), e-marketing (loyalty system, email marketing etc). I'm always excited to read their update notes and highlight the great ideas and immediately implementing and sharing with my whole team. Overall: increased productivity, efficiency, client compliance. Pros: It is robust and I can count on one hand in the past 20 years that the software system crashed. Of course there are minor glitches every so often but that is usually a phone call and they come in remotely to fix it - whilst the system still runs. They are only a phone call away and the 'help desk' know their stuff and can often talk you through most things. Cons: There is a lot of parts too it! They are changing / evolving to keep up with the changing technology - takes a bit for 'non-computer' buffs to keep up! Overall: We have been running versions of Vetlink for 20 yrs in a LAN setup . Recently we had a moderate problem with a data file that we thought had completely disappeared. For ease of use we save relevant digital Xrays to Vetlink which are attached to the animal files for easy access. Recently, for unknown reasons that file disappeared and as expected it was a week or two before this was detected. We do run a back up system that was recommended and installed by Vetlink about 2 years ago. As with any backup system - you seldom try it out and when you do - you hope like hell it works . Well it did work and very well indeed!! It took a hour or so to have the Xray file up and running with all the links back to the animal files intact. Recommendations to other buyers: Very good to deal with, they go the extra mile. They are forward thinking and have invested a lot of time and effort to mitigate against disasters, ie back-up recovery. With Cloud Computing - we all think that we will have access to the data due to several server back-ups. We will still be dependant on a functioning internet - imagine if we didn't!! They even have that covered!! They may not be the cheapest software provider, but as we all know cheapest is not always best. In running a business, knowing that each day you or your staff can turn up to work and there are no problems is something 'we' take for granted, it allows us to focus on being vets. "Peace of Mind' with your practice software program, knowing that your provider is doing their utmost to cover your back - is in my mind worth a few extra dollars a month! Pros: The software logically achieves everything you would expect from a practice management system of this type. The built in word processor is functional and interfaces well with handouts, certificates etc and avoids costly licensing for other word processors. The emailing documents and histories capability is fantastic as is the two way text messaging. The diary works well and has enabled very efficient use of our staffing levels. It has been easy to connect and print various documents to networked printers. The capability of having different users having different configurations is also a really great feature as it allows different staff to access different devices depending on their physical location and their practice role ie the admin team can use their own printer for letterhead or accounts stationary whilst the front office can use A5 receipt stationary and the vets can use another different printer for blood results, reports etc and all of them can also access the drug label printer. The ability to separate the invoice from the history for a particular visit is really neat and useful, the front office can get on with taking the money whilst the vets complete the history recording in another room. Cons: There is very little not to like and it would seem all features can be customised to work how you want them or be disabled completely. We personally have experienced some issues with being able to have multiple patients on the same invoice but I have a colleague in a neighbouring practice who loves being able to do this. Overall: We transitioned from an opposition product and in preparation had three of our team attend some training at Vetlink in Auckland where we focussed on products and services in anticipation of our go live date. Unfortunately we did not get as prepared as we would have like but proceeded with our go live date anyway. I am pleased to report it well really well with minimal stress, frustration or headaches. We chose to make amendments to products and services as we went and experienced very few issues. Our data conversion and going live was overseen by Clive and after 2 days we were away with the practice barely noticing a hiccup. We anticipated some challenges with such an enormous change but it went very easily. Clive did a fantastic job of ensuring data converted well and also of making sure we knew how to make changes etc in the new system without overloading us with too much detail. I had anticipated that a software change of this type would cost the practice in terms of productivity and turnover but I would think that in reality there has been no real turnover cost with this change. I am pleased to say that within 2 weeks of going live we were in the process of looking at all the new opportunities the program has given us. Getting help is easy and all calls for help have been answered in a very timely and uncomplicated manner. Helpdesk staff members are always approachable and communicate easily about any of the issues we have had. Recommendations to other buyers: There are so many features in the software especially when it comes to things like marketing, client contacts etc. I would advise taking some time to work out how you wish to have these features work for you so you can set up things the right way from the beginning. You need to consider which features you wish to use and then get them going well and add other ones later as time allows rather than trying to do everything at once. There is a lot too his software and one can be overwhelmed by features at first. Pros: Colourful Diary screen enables easy adjustment of appointments to a different time, longer or a different vet or day. SMS appointment reminders work well. I like that an email message or sms sent to a client through the system is documented and can be reviewed. The quote system works well. There are lots of reporting options. Cons: Sometimes there are glitches with the messaging not getting through. The reminders are complex with letters, sms and emails going out on various runs. If there is a problem here it is very concerning that they may not be received. I am not sure if other software make this easier? We always get it sorted but it can be very time consuming. Thank you for your review. Please note that we have now switched SMS providers with a Tier Service (we experimented with a Tier 2 service as people wanted lower costs, but we have decided to dump that service) and the delivery is first class! It is generally upgraded on your next update but call the help-desk and ask if you are on the new service. Pros: Initial tech support was really good - quality dropped of as time went by and it became more difficult to get ahold of them. We upgraded because previous software wasn't able to intergrate with idexx or radiographs etc. Cons: Reliance on having to manually run the background so everything syncs. Hi there. It is a bit hard to follow up with no name as I would love to call you and explain and show you where you may need assistance / training. Please note that if helpdesk phone lines are busy you can leave a message for a call-back or you can email support@cfl.co.nz for any non-urgent issues and someone will respond the same day. For SMS In & Out logs, just bring up the client record and then see the Doc Manager Tab where a sub-tab shows SMS - ALL communication is right there. In terms of online booking, I tend to agree that its not ideal BUT please note that a totally new and refreshed OLB system is due for release next month with a complete re-write. Look out for a free webinar email for 4th July 2018. Not sure what you mean by manual sync but happy to clarify if you call. PLEASE do not hesitate to call me to discuss any issues at any time and I will see that it's set right! Pros: The software is easy to learn, we changed over from another vet software. The change over was easy and we had great support to teach us the new program. Once we got going we found the program easy to use and fitted in well for our mixed animal practice. The back up tech support is friendly and helpful, and always available to help us. We are not a computer savi clinic, so probably ask some really dumb questions which they always help us with. The nurses find the program easy to use, and the flow of patient/client from waiting room, to consult/treatment/ hospital/ discharge is easy to follow and see where patients or clients are up to. For large animal patients program works well for planning and charging out invoices. Very happy to talk to any one about programme if considering changing over . Thank you for the kind words Miles. Just in case ....- Did you known that you can set up abbreviations that automatically expand into words, sentences, and even full paragraphs so you don't have to type much? In addition to this, you can have pre-configured clinical notes/pages that you can simply import. Just go to the top | Options | Picklist | History | History Abbrs - then just set them up here. Cons: Colour sheme! !- I like bright colours. Can't set up a recurring lock for individual vets on certain days for research etc- must be set up as an appointment. Thank you for the kind words. Please note that you can solve your problem in one of 2 ways. Firstly use the Staff Roster where you have several start and end times during a day. This will create locks between those periods. Note that the Roster is dynamic and can be altered at an time and a Clash Management window will automatically tell you if your re-scheduling has clashes with any pre-existing appointments - then you can just drag and drop to re-schedule etc - it will also automatically then send text messages, etc. The second method is to use the Recurring Appointment" feature. Yes it does use appointments but it has quote a sophisticated recurring criteria. Pros: We moved to VetlinkSQL 18 months ago and we have not looked back. We had a list of requirements that we required out of our veterinary practice management software and VetlinkSQL stood head and shoulders above the alternative options available. The product is easy to use at all levels and if there is ever an issue the support team have all the answers and they do this in a timely manner. Some of the extras that have really added to the experience include the mobile app for our large animal vets in the field, the SMS and email capabilities, the integration with our laboratory equipment and the ability to store images and documents on patient and client files. Overall: This software has improved our efficiency and capabilities. Well Done. Pros: While the software is very powerful, it is really easy to use and has huge functionality for all types of practices, especially for our equine side of the business. What we like is that the software is continually upgraded with new features from requests we make. 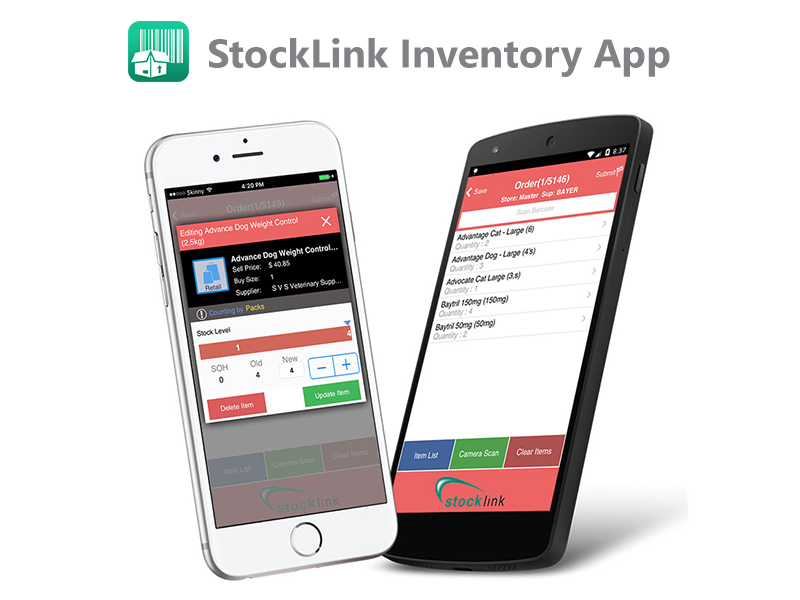 For example, we wanted better stock management for our equine and farm vehicles so they have created an App that allows a really easy way for Vets to transfer stock to their cars, even if they are in a hurry we now use this App which has reduced our Stock Shrinkage by 50% this year! Finally I think the helpdesk is very good and the familiar support staff are excellent. Cons: We don't have too many dislikes but it would be good to get some more advanced training for our staff and have regular visits to get the best out of the software. Cons: Not knowing which team member has performed an action. Anyone can be selected from the drop down where that option is available but for general use it is not convenient to have each user log on/off to perform an action. Thank you for your kind words. You can indeed have only certain people perform certain tasks and have a log in system. It is open when you purchase the system but you can go to Setup/Staff/Access levels and you will a large number of functions such as, to name a few, Make Bill, Discount, Overtype Price, Place Orders, etc, etc. There is a grid of User Position where you can choose each staff position and what they can do openly and where they may need to log in and so on. Having said all that, in the upcoming Version 5.0 this area has been expanded with detailed audit trails as well. Call our helpdesk or download the appropriate chapter of the manual that describes all this; there may even be a recorded webinar in there. Pros: We have migrated from one cloud based server which was hosting our VetLinkSQL software to cloud based hosting through VetLinkSQL and the process has been seamless. We have gone from a system that was extremely expensive, continually offline, very frustrating with a very unhelpful "help" desk, to a fast, integrated system. For our business it means we are able to contact one provider for our PMS system and our other software needs. The other huge benefit is we are financially far better off, which means improvement to our bottom line. Cons: We have some frustrations with not knowing what we can do with the software. The developers are continually updating and innovating the software, and unfortunately we are lagging behind. Thank you for your kind works Taryn. Yes we were surprised what you were paying! Now your VetLinkSQL is a fully cloud hosted solution by us so no worries at all. We look after everything including backups, updates, etc? Comments: Marketing experts say that every business should have a 'Unique Selling Proposition' to lift them above the competition. They also say that there is a business life cycle phase made up of 'Start Up', 'Growth', 'Levelling Off' and then usually 'Decline'. I am pleased to be able to report that not only does VETLINKSQL have an incredible product, they also very definitely have the most amazing USP, and even more amazingly, after so many years in business, are still very much in the 'Growth Phase' of the life cycle. Gail and myself, as owners of Redlands Veterinary Clinic, are proud to be able to say that we have been delighted clients of VETLINKSQL since we installed it many years ago. We researched the available software programs and immediately decided that VETLINKSQL had all the attributes that best suited our practice. That decision has been more than justified over the years. We could not be more happy with our investment. The product is extremely powerful, (hacks like ourselves have no chance of ever fully utilising the capabilities), easy to use, and at the top of the list, is the wonderful help and support desk which seemingly find no problems that can't be solved in what seems to be an instant. The program seems to be changing constantly with new innovations and rapid progression into the digital age at the forefront. Fortunately our practice now has younger members and are taking to the new features like ducks to water. So, what is this USP. Back in the mid-nineties when we sourced the product, Deven Patel, the then product developer (and now CEO), visited our practice to demonstrate the features of their original DOS product. Now, more than twenty years later, the very same Deven is still visiting our practice inflicting his infectious enthusiasm upon us, and astounding us with his knowledge and innovations with their new product. Certainly no other Veterinary software company, and very few suppliers of any product, can boast that their CEO and principal product development manager is still at the very shopfront of their company and providing such wonderful customer service, even after their client base has grown to hundreds of clinics worldwide . Well done Deven, and the team at VETLINKSQL! Great software, with excellent support provided by the CFL team. Pros: I have used this software for many years, and have been impressed with the development and introduction of innovative features based on changing client needs over time. We have recently transitioned to the cloud-based version and this went very smoothly. Integration with our laboratory services provider, sms, and smartflow is working very well for us. The software is customisable and flexible and works very well for our medium sized small animal practice. Cons: As the software has been written specifically for the veterinary practice, and developed over a long period of time (with additions and customisable options added over time) it takes a little time for a new staff member or locum to become familiar with the software. This, however is likely the case with most software programmes. Overall: we could not run our business successfully without it! 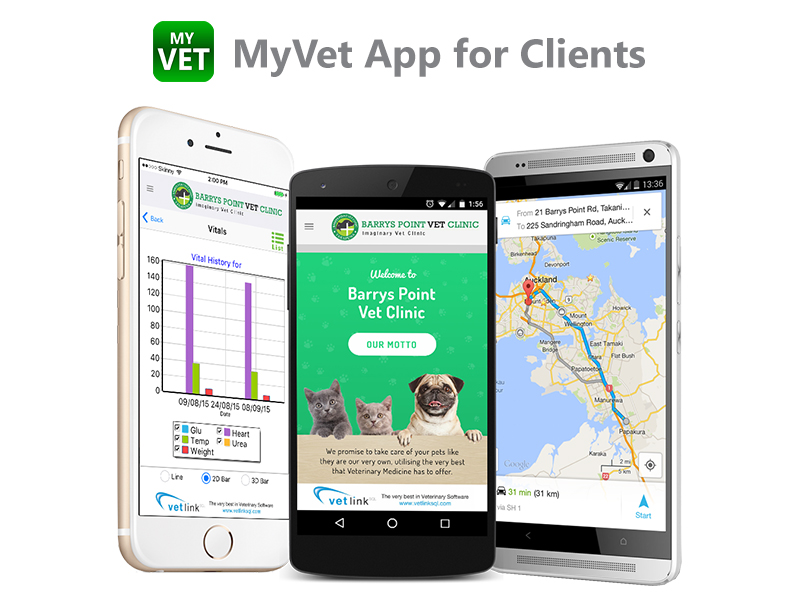 Pros: Functionality and ability to email and SMS clients of their animal reminders, appointments and to be able to send histories direct to other third parties. Cons: Very different to what we had been using which was Vetcare - so took some time to get to know the expansive features (not being IT savvy). Some of the reporting I found I needed technical help with, but Vetlink backup was always there to support us. Once I got the hang of it, it was easier. Overall: We chose Vetlink over all competitors because of its long term features, customer support and user friendliness. Vetlink enabled us more to engage with our client's rather than via phone or post, which in the long term, saved us time and money. Would highly recommend for any forward thinking Veterinary Surgery and one that certainly is looking for a product to take it to the next IT level in an ever expanding IT world. Thank you VERY much for your kind words Veronica. The customer service is excellent. You can always get them on the phone to help. Pros: The ease of communication with clients to save time. You don't have to press save every time! Always getting updates and new ways of doing things. Cons: clipboards are hard to see and not that obvious. There are numerous icons happy and sad faces etc which re not that intuitive or easy to understand. Pros: Easy navigation, comprehensive fully integrated software from client/animal records to appointment booking to sales and marketing and accounting. The development of the software is very progressive and with an industry focused strategy. Cons: To be honest not a lot I dont like, but would like to see a better reporting module that lets you create the reports you want with the information you want rather than standard reports. Overall: This software meets all our needs. It is constantly being improved on and made more efficient to ensure it keeps up with changing markets and legislative changes within the industry. 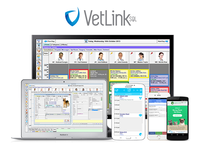 When we looked at upgrading our software we looked at all the leading veterinary software packages in the market at the time and Vetlink was hands down the best out there and still is. Thank you for your kind words Leanne. I have been using Vetlink for over 25 years. The support and functionality is second to none! Pros: The software has evolved over time and continues to evolve. Deven Patel is always happy to provide support and do his best to ensure the product meets our expectations. CFL is always happy to listen to our ideas and customize the software where ever possible. The recent innovations are excellent. The abilities of Vetlink to interact with products like Smartflow and our Idexx in house lab equipment help to improve work flows and efficiency. Cons: Reporting. While the software has the ability to customize reports, this is not always simple. I understand there are developments in the pipeline to improve this. Overall: It is the complete practice management package! Pros: The day to day organisation of appointments for different staff members. The ability to have several staff using the program in different areas of the business. Cons: Not having complete tracability of invoices that have been cancelled or deleted.But this will be a feature in the future which will assist us . Pros: Always developing new features. Very easy to access customer support and talk to someone who knows what they are doing. Simple to use and very short learning curve. Change over from old system was nearly seamless. Cons: It will still take a bit of time to develop all the features I would like, but that is a long list and is quite specific so I don't think anyone else could do it all either, and I don't think other companies would be so keen to listen to new ideas. Overall: Affordable and very user friendly. Thank you Braden! We have received your ideas around Wellness Programs and they have been forwarded to the developers. It will be discussed once we get back to that module in a couple of months. Cheers! Pros: This software is relatively easy to learn to use and its colour coding helps with the visuals without having to search for appointment status. All the tasks you need are available. Cons: Searching for specific types of records can be difficult to work out. But this is a more complex task anyway. Adding a staff member for a day not already in their roster doesn't bring in double-booking function. Overall: We moved to VetlinkSQL 4 years ago after using another product which was outdated and clunky. Very happy with the decision and the support we receive. The software is evolving with new features each year that keep up with changing technology and changing business needs. Vetlinksql findings from a small animal city practice. Pros: Excellent for recording histories and all client details. Ease of attaching photos and other records such as referral notes from other clinics. Use of templates for repeat prescriptions and other documents. Stability of the program. Overall: I have been associated with CFL since 1993. During this time Rohit and Deven have contiuned to develop the program and provide support. As my practice is only 10 km from their place of business I have always obtained my hardware from them also. Over the years I have taken advantage of courses run by CFL with many of these not having a cost. Over all I and my staff have always experienced courtesy and promptness with any of our requests for assistance. Pros: We are looking to the future. 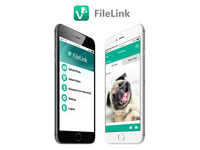 We have several growth plans in the pipeline and see Vetlink as best supporting those plans. The mobile app is a great initiative and one we cant wait to get using. This will make out of clinic notes and billing so easy. In the meantime, the depth of reporting and functionality of the program is amazing. Cons: The Hotel module is taking a bit longer to get used to, but Deven and the help desk are being fully supportive. Im sure that this is mostly just getting used to a new system. Overall: We have just moved from an opposition product to what we see as a full service! The transition was seamless and painless! Congratulations Vetlink on ensuring a successful transition. Of course, the odd glitch, but nothing like the horror stories we have heard when other practices have changed software. We looked at the product over several months, and went through a couple of review sessions with Deven; he and the staff at Vetlink have always been eager to help, no question has been to hard. The training has been thorough and supportive, and the help desk staff have been absolutely brilliant! We chose this product for the functionality and what it could offer us in terms of reporting, and overall ease of use. Its only early days for us, but we are very happy, and have no doubt will continue to applaud this system as we learn to appreciate more fully what it can do for us! Pros: The support staff was very comprehensive in his introduction of this program to us. We were comfortable putting our business needs into this program with his guidance. He even helped us find hardware support! Which has been a great success. Demonstrations were informative and thorough. Data conversion was smooth and we were coached through every step and knew what to expect with confidence. When the system went live in our vet hospital, we were well prepared from our practice on the demo system and on the shoulder training with Richard was fantastic and very welcomed. Richard was very professional and nothing was too much trouble. He empowered all of us and set us up for success! A true teacher. We are now 8 weeks in, whilst we are still learning, we now have software that is reliable to use, comfortable to understand and software support only a phone call away. Vetlink has been a wise choice for us. A very happy team! Cons: End of period procedures take a little getting used to. This is NOT a fault, just a new learning process. We will get this! Overall: Peace of mind that our business is running on reliable software. Our data is secure and accurate. We have been loyal Vetlink sql customers for several years now. Pros: The inter-activeness of the diary is great, the ability to easily upload images into the patient files is also an asset. I like being able to log onto the serve rfrom any of our workstations and use the mobileapp out in the fields. Cons: It can take several 'clicks' to perform simple tasks and the cost of the multibranch systemappears to be prohibitive at present.. Overall: Things have run relatively seamlessly since switching both of our practices over to Vetlink SQL. The team at CFL/Vetlink have ensured that any support / troubleshooting happens promptly and we feel, compared with previous underwhelming software providers, we are getting fantastic value for money from Vetlink and our upgraded modules. Thank you for your kind words Christine. We appreciate it very much! CFL personnel understand our business. Backup support is pleasant, prompt and efficient. 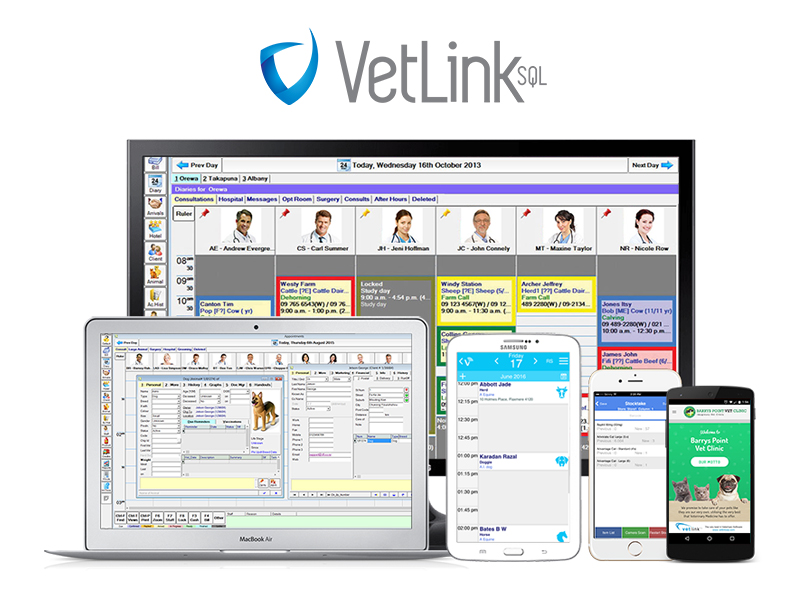 Pros: Vetlink software program is user friendly and has a comprehensive reporting system that is not complicated. Regular upgrades are always available to meet the changing needs of our business. Overall: The software provides a management tool that is uncomplicated and comprehensive. Thank you Roger; much appreciated. Easy transition, easy to use. Great backend. Pros: Support is excellent. Mobile app works a treat and is getting better with every update. Back end reporting is good and getting better with the new online reporting and benchmarking service. Cons: User interface is a little old fashioned and could be updated. This tends to make desktop version feel a little clunky. Overall: Perfectly satisfied with our decision to go with VetLinkSQL. Compared to some of its competitors its great value for money too. Overall: Absolutely fantastic CRM - has all the functions we need for our busy practice. After sales support is second to none. Pros: It's very easy to use and has a logical sequence. Everything has been thought of and it works well. Overall: From the very start the team at Vetlinksql have been great. Customer service is always friendly and prompt and as far as value for money, it's better than any other program I seen. Every feature that you can think of has been thought of. Love it!!! Recommendations to other buyers: There is lots to learn so do the onsite training as we got heaps from that and the team are great. Pros: POS integration and the ability to notify your clients via SMS and email. Being cloud hosted is a plus for those who require more flexibility. Cons: Spell-checker can be improved and the color scheme can be updated with more brighter ones. All the rest is customizable with some work. Comments: We have been running VETLINKSQL since Jan 2010 and are very happy with the programme. The transition from RxWorks was handled very efficiently with great cooperation between Vetlink staff and our techs who were reworking the network. The level of support given during the transition and since installation has been excellent. We have recently integrated our in house Idexx Catalyst One machine with VETLINKSQL and it is a huge improvement to our in-house testing procedures & billing. While we are still underutilising a lot of its functions we find the programme to work very well for both small animals and large animals (mostly dairy) and would definitely recommend it to other practices. Comments: We started our Equine Veterinary business just over 5 years ago. We launched with Vetlink and have also utilised Vetlink in two other businesses we have bought and sold over the last few years. Vetlink is very user friendly, amazing support and very easy to do business with. We have referred many other Vets to buy Vetlink and will continue to do so. Keep up the GREAT work Vetlink. . Comments: Vetlink SQL Review has been a great program to use. It is innovative and the developers are keen to hear feedback about our ideas and requests. It is very easy to use and with most software programs, you rarely all the features available. The support is very reliable and always available when we need it. We have been with SQL from the outset (and Vetlink since 1991) and it does everything we need. Comments: We recognize we underutilize the system; but that always gives us the opportunity to delve further if we need. Helpdesk backup service is great, upgrades regular and non-intrusive, and the moderate fees are all positives for us.